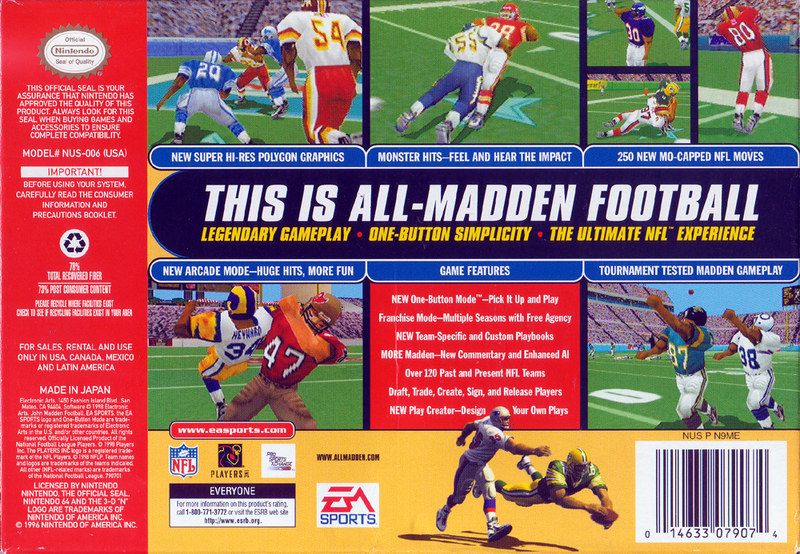 Краткое описание: This is all-Madden football! Legendary gameplay. One-button simplicity. The ultimate NFL experience. New super hi-res polygon graphics. Monster hits - feel and hear the impact! 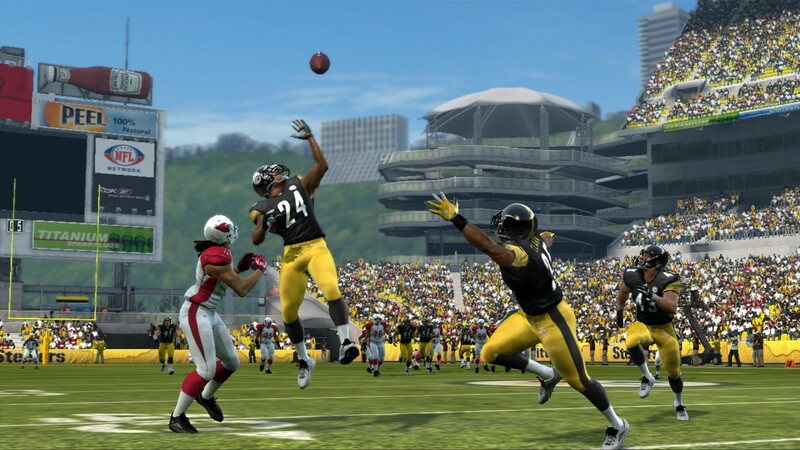 250 new motion captured NFL moves. New Arcade Mode - huge hits, more fun! Over 120 past and present NFL teams. Draft, trade, create, sign, and release players. 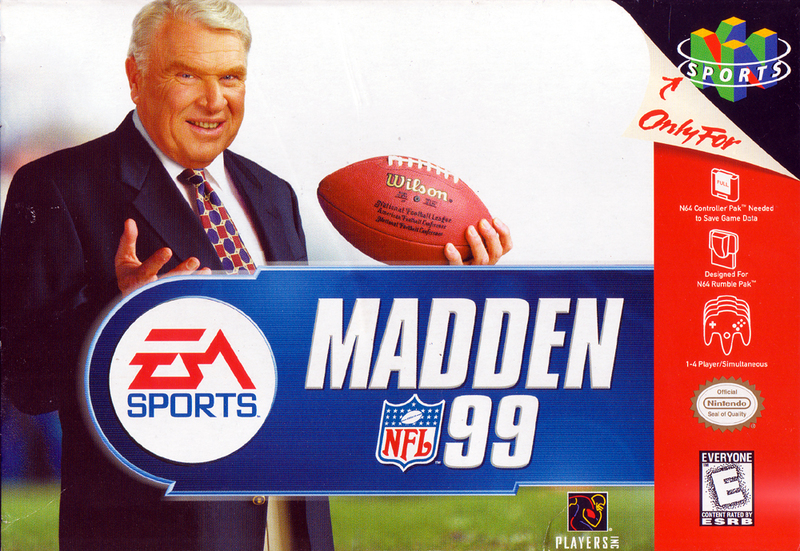 This is all-Madden football! 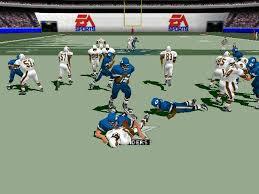 Legendary gameplay. One-button simplicity. The ultimate NFL experience. New super hi-res polygon graphics. Monster hits - feel and hear the impact! 250 new motion captured NFL moves. New Arcade Mode - huge hits, more fun! Over 120 past and present NFL teams. Draft, trade, create, sign, and release players.